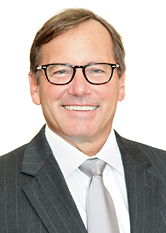 For nearly 30 years, Kevin has concentrated his practice in banking and commercial law and has represented major banks and financial institutions primarily in New Jersey and New York, but also in many other jurisdictions including Pennsylvania, The District of Columbia and Connecticut. He has particular emphasis on the representation of lenders in complex loan transactions and has significant experience in all aspects of lending -- from the issuance of commitment letters to the exercise of remedies under defaulted loans. Mr. McNamara has successfully handled varied transactions for lenders involving real estate and corporate/asset-based loans, such as bond financings, syndicated transactions, Freddie Mac/Fannie Mae transactions, loans secured by intellectual property, and a broad spectrum of real estate financings, ranging from the largest and most sophisticated construction matters to owner-occupied commercial loans. Mr. McNamara is also experienced in the working out of troubled loans, and the documentation of sophisticated restructuring arrangements. In addition to the representation of lenders, Mr. McNamara also represents developers and other non-bank clients, primarily in sales, acquisitions and financing of real estate interests. Prior to joining the Firm in 2007, Mr. McNamara was a partner at Greenbaum, Rowe, Smith & Davis, LLP where he chaired the Banking, Business Financing & Creditors' Rights Practice Group. Representation of a prominent national bank, serving as lender and agent, in connection with a $141.7 million syndicated credit facility to a joint venture consisting of two (2) national insurance companies and a major regional real estate developer for the construction of a 451-unit apartment project located in Fort Lee, New Jersey. Representation of a prominent national bank, serving as lender and agent, in connection with a $120 million syndicated credit facility to a joint venture consisting of subsidiaries of a publicly-traded national homebuilder and a publicly-traded worldwide provider of professional, technical, and management support services for commercial and government clients, for the construction of a 417-unit, 38-story apartment building containing ground floor retail located in Jersey City, New Jersey. Representation of a prominent national bank, serving as lender and agent, in connection with a $119 million syndicated credit facility to a subsidiary of a major regional developer for the development of a 678,736 square foot, 24-story luxury mixed use building containing 360 residential units, approximately 213,000 square feet of office space, and ground floor retail space, with a 450-space subgrade parking garage, located in Philadelphia, PA. Representation of a prominent national bank, serving as lender and agent, in connection with a $116 million syndicated credit facility to a joint venture consisting of a national insurance company and a major regional real estate developer for the construction of a 507,000 square foot office building in Hoboken, New Jersey to be leased by a national educational products company. Representation of a prominent national bank, serving as lender and agent, in connection with a $100 million syndicated credit facility to a joint venture consisting of two (2) major regional real estate developers for the construction of a 337,000 square foot office building in Newark, New Jersey to be leased by a global electronics company. Representation of a prominent national bank, serving as lender and agent, in connection with syndicated credit facilities aggregating $61.5 million to a major regional real estate developer, for the construction of a 13-story, 240 unit luxury condominium building containing ground floor retail located in Jersey City, NJ. Numerous presentations to New Jersey Institute for Continuing Legal Education and various banks and other institutions on topics such as title insurance, bond transactions and a variety of lending and documentation issues. New Jersey State Bar Association - Member, Past Chairman of the Banking Law Section's Financial Transactions Committee, and previously served on the Board of Directors of the Banking Law Section. Author of a variety of articles on topics involving issues of concern to lenders. Mr. McNamara was selected for inclusion in The Best Lawyers in America for Banking & Finance and Real Estate Law (2006 through 2019). Mr. McNamara was nominated to the NJBIZ Vanguard Series: 2018 Leaders in Commercial Real Estate. Mr. McNamara was named to the Irish Legal 100 of 2014, an annual international list created by The Irish Voice Newspaper to honor the superior achievements of practitioners who are of Irish descent. In July 2012, The Star-Ledger published in conjunction with Law.com (an ALM publication) and Martindale-Hubbell an annual list of New Jersey's "Top Rated Lawyers," in which Mr. McNamara was featured in three categories: Banking and Finance, Business and Commercial and Real Estate. Since 2005 and for 13 years and counting, Mr. McNamara has been distinguished by being selected as a New Jersey "Super Lawyer."